Your Mission: Unlock Some Fun! Look no further for a non-traditional mind-blowing challenge that's infused with excitement! 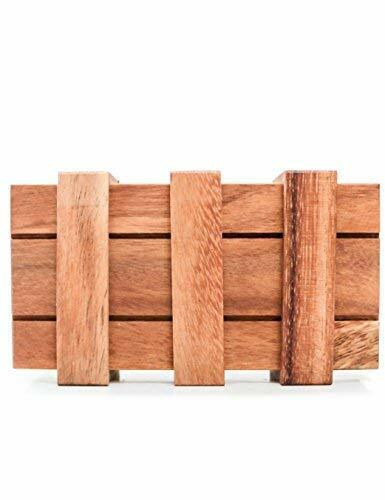 Draped in secrecy and doused in bewilderment, this Wooden Puzzle Secret Box Brain Teaser presents a brilliant blend of mind-exercising challenge and captivating fun. 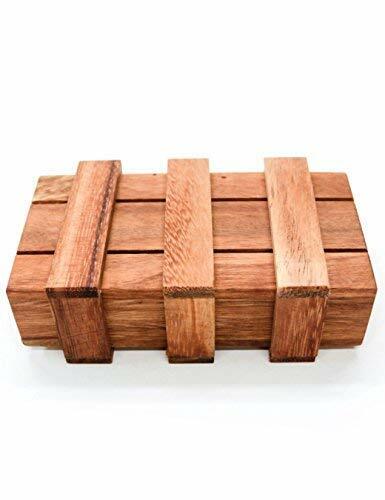 This seemingly simple-looking wooden box holds an alluring secret inside that can only be opened by using the right sequence of moves. It's just as entertaining to solve as it is to watch another who's consumed with intrigue try to unlock this magic box. Its interior compartments are ideal for stashing your cash or hiding other valuables out of sight such as jewelry, collectible coins, cards, tickets and so much more. Entertainment for Everyone Think outside the wooden gift case box as this specialty item is designed to provide an entertaining challenge that both kids and adults can enjoy. It makes for a great mind-stimulating exercise that inspires problem-solving fun while increasing brain fitness. 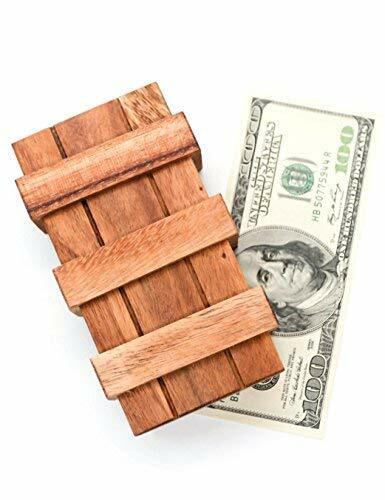 A Whimsical Gift Add a unique twist to gift-giving by locking away the surprise in this gift cash puzzle lock box. The lucky recipient must solve its perplexing puzzle before the tricky magic box unlocks to reveal the treasure hidden inside. It makes for a great conversation starter and is a perfect gift box for holidays, birthdays, weddings, graduations and any other special occasion. Product Specs: Expertly crafted of 100% natural wood Level of Difficulty on a scale of 1 to 5: 3+ Outside measurements: X; Interior measurements: X Puzzle is appropriate for ages 6 and up Boosts gift-giving to an exciting level for any occasion If you're feeling up for an intellectual challenge or simply looking for a tantalizing way to present a gift, add this unique Magic Wooden Puzzle Box to your shopping cart now and start unlocking some fun!